Looking for qualified teacher to teach art to your kids? Cheese Creative Art Studio provides creative art and drawing class for children and kids. It is based in Malaysia. 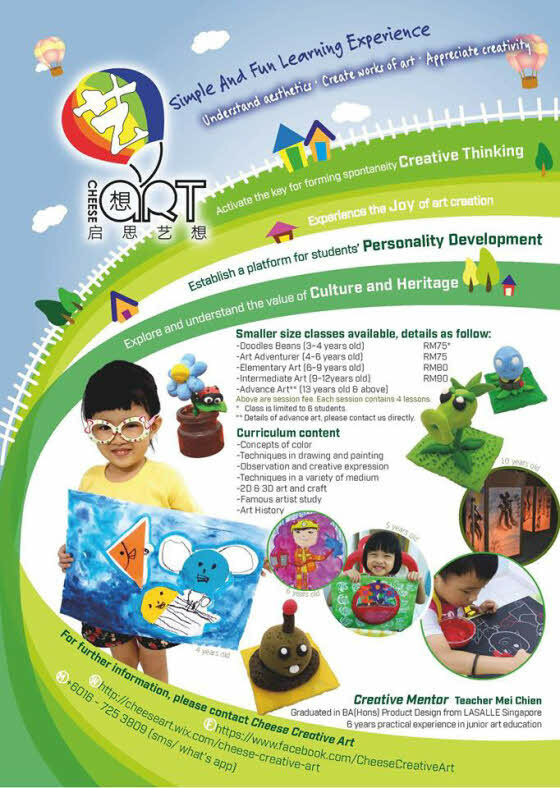 It provide drawing and creative art lessons in both Singapore and Malaysia. In Singapore, the Trainer also provides home art lesson as well.